The cane toad invasion of the Northern Territory received considerable attention from the local, national and international media during the early 1980s and the Northern Territory Government's cane toad research and management efforts had received wide public support. In September 1984, the Northern Territory Government decided to approach the Premiers of Queensland, Western Australia and New South Wales with a view to making a joint proposal to the Commonwealth to fund a research program into the biological control of cane toads. This proposal had recently gained the support of all those jurisdictions, each of which was to contribute to the cost of the program on an equitable basis. Funding was to be for an initial period of three years at the end of which time the results would be evaluated, with a possible additional three year program to investigate actual biological control. Projected costs to the Northern Territory were approximately $25,000 for the remainder of 1985-86 and $45,000 per year for the remainder of the three year program. the School of Tropical Veterinary Science at the James Cook University in Townsville. 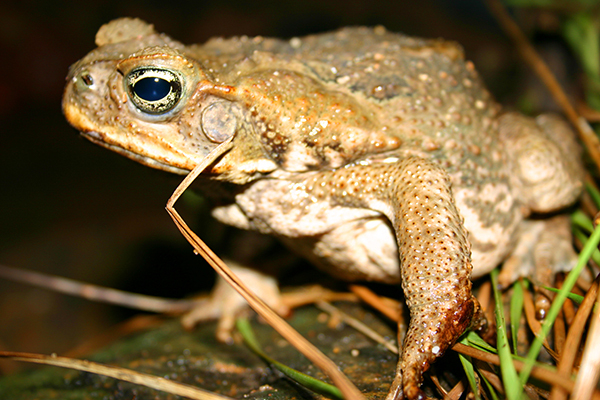 The research was intended to focus on the population biology of cane toads in the Queensland/Northern Territory Gulf region and around Townsville, and investigate pathogens which were infecting cane toad populations in Australia at that time. Cabinet noted the information in the Submission.